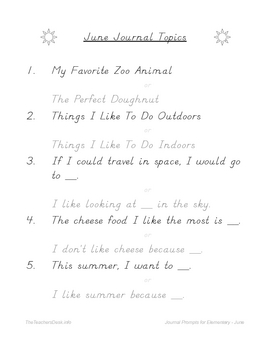 Give your elementary students topics to write about in their journals every day of the month with these simple starters. 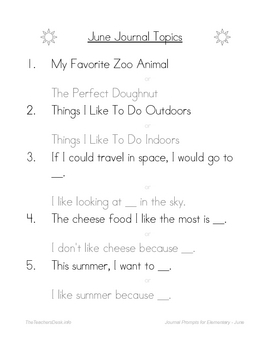 Students select one of two prompts options and respond in list form or by completing the sentence with their own answer. 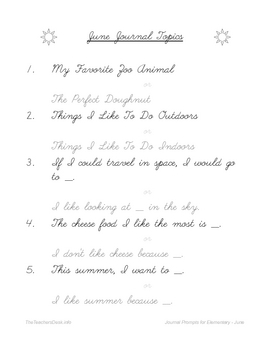 Print one page every five days or three pages for the entire month in print, manuscript, and cursive styles. 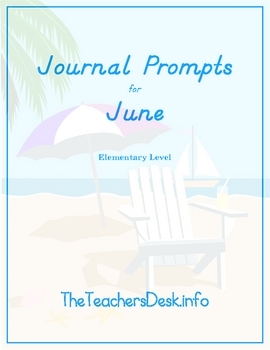 Also included in this set are suggested grading scale/journal writing checklist, June-themed stationary pages, and great Father's Day printables & activities links.